In two weeks and over 2,200 nautical miles, sail from west Greenland to Newfoundland along Canada’s dramatic Labrador coast. Along the way explore four pristine Canadian National Parks. Prepare to be wowed by the variety with everything from Inuit culture to caribou, UNESCO World Heritage sites to polar bears, eagles and more. Our flight from Toronto will land at the former US air base of Kangerlussuaq. From there, we follow the longest road in Greenland - at twenty kilometres! (12 miles) - to our disembarkation point, where Zodiacs await to take us to the vessel. From there, 168km (104 miles) of superb scenery await us as we sail spectacular Sondre Stromfjord, one of the longest fjords in the world. There are a number of charming fishing villages along the west coast of Greenland. 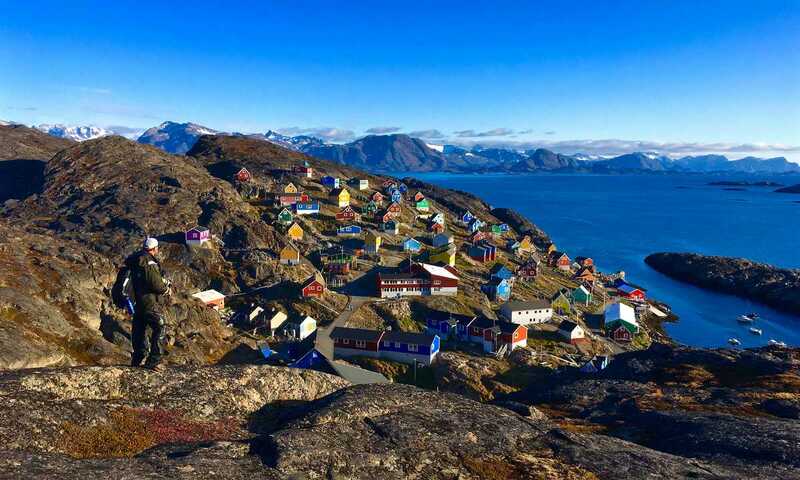 Depending on timing and sea conditions, we way-call in at one of these communities to experience small town Greenlandic life, or explore the stunning fjords that line the coast. This is a day in the true spirit of expedition travel and we will avail ourselves of any and all opportunities that present themselves. Welcome to Nuuk, the capital of Greenland and the one of the world’s northernmost capital cities! Nuuk, meaning ‘the headland’ is situated at the mouth of a gigantic fjord system. Established as Greenland’s first town in 1728, Nuuk remains the bustling centre of the country today. The town is home to the University of Greenland, a cathedral dating back to 1849, and Greenland’s National Museum. We’ll have a guided orientation of this bustling metropolis and an opportunity to visit the National Museum—where the Qilakitsoq mummies are housed—before free time to explore on your own. Our presentation series takes centre stage as we head across Davis Strait towards landfall in Canada. 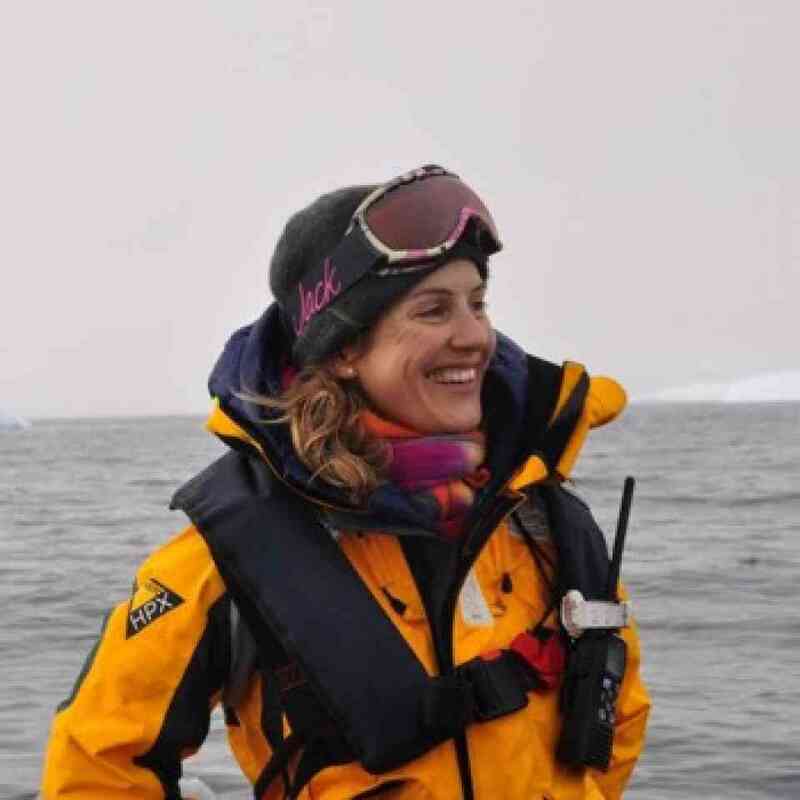 Time spent on deck can be rewarding as well: keep your eyes peeled for minke and humpback whales (and other marine mammals), as well as the seabirds that are sure to accompany our passage. Twenty-five kilometers (fifteen miles) upstream from Ungava Bay, in the shelter of a commanding granite rock outcrop we find the community of Kangiqsualujjuaq. The ebb and flow of the tremendous tides define the summer lives of the people and wildlife of this area. Arctic flora thrives in the protected valley. The traditional calving grounds of the critically declining George River caribou herd are nearby. After our community welcome, we will have the freedom to explore, meet with locals and strike out of town for a hike on the tundra. The Torngat Mountains have been home to Inuit and their predecessors for millennia, with archaeological evidence reaching back almost 7,000 years. The fjords here reach deep into the heart of the mountains, bounded by cliffs peaking at 1700m (5577ft) - the highest point of land in Labrador. The rugged, spectacular beauty of the Torngat Mountains underscores their role as the spiritual homeland of Nunatsiavut. Polar bears, caribou, falcons, and eagles are among the species hardy enough to make their homes here. We’ll spend our time here getting out on the land for hikes, searching for wildlife, visiting archaeological sites, and Zodiac cruising through some of Canada’s most dramatic landscapes. Today we explore the vibrant Inuit community of Nain. The administrative capital of Nunatsiavut, Nain is the most northerly community in Labrador. We'll visit the beautiful Moravian Church, the Nunatsiavut Building with its Labradorite stone and the Illusuak Cultural Centre. Local leaders will share the fascinating history of the township, and we will have a chance to visit with the community. The lower Labrador coast boasts five of Labrador’s ten provincial eco-regions, including coastal barrens, high subarctic tundra, high boreal forest, mid-boreal forest, and string bog. The Mealy Mountain range in this area reaches heights of more than 1000m (3280ft). A significant portion of the mountain range and surrounding area has been designated a National Park Reserve, a move which followed lobbying for the preservation of the area since the early 1970s. We plan to visit the Wonderstands, a stunning fifty-six-kilometere stretch of beach, referenced in Viking sagas. A UNESCO World Heritage Site and National Historic site, L’Anse aux Meadows is the only authenticated Norse settlement in North America. The archaeological remains found here in 1960 date to approximately 1000AD. Amazingly, the location of the ruins was first established by a close reading of the Viking sagas. Today, a superb interpretive centre and reconstructions of the several Norse-style sod buildings make L’Anse aux Meadows a must-see for any visitor to Newfoundland. It is not included in the 2018 prices. Mountain Biking: typically only during community visits and not on expedition stops, due to polar bears. $40 CDN per rental paid onboard. From 2019: kayaking and snorkelling will be additional optional adventure activities.